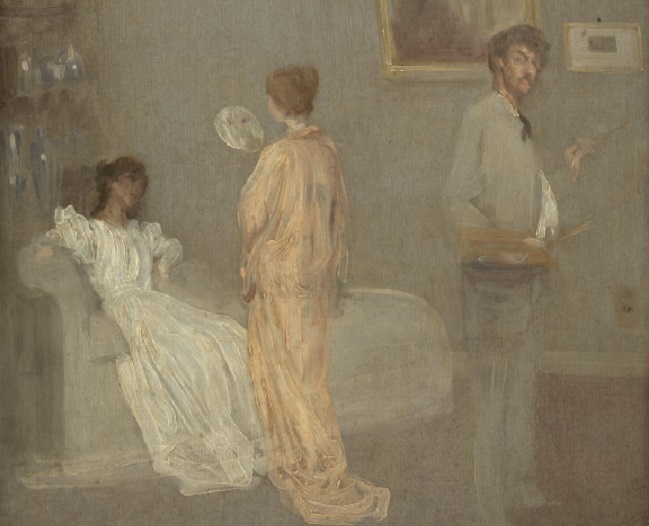 The Artist in His Studio, 1865–66, oil on paper mounted on panel by James McNeill Whistler (1834–1903). Image courtesy of the website of the Art Institute Chicago. I seem to see all sorts of things in that—a comedy, a little drama, of a fine colour, either theatrised or narrated: a subject, in short, if one turns it in a certain way. The way is, of course, that the husband doesn’t care a straw for the cocotte and makes a bargain with her that is wholly independent of real intimacy. He makes her understand the facts of his situation—which is that he is in love with another woman. . . . 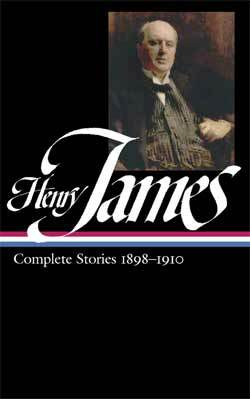 He can’t let himself be divorced on her account—he can on that of the femme galante, who has nothing—no name—to lose. I note it as a wonderful case of its kind—the finest of all perhaps, in fact, that I have ever chanced to encounter. The kind, moreover, is the greatest kind, the roll recruited, for our high esteem and emulation, from history and fiction, legend and song. . . . If you don't see the full selection below, click here (PDF) or click here (Google Docs) to read it—free!